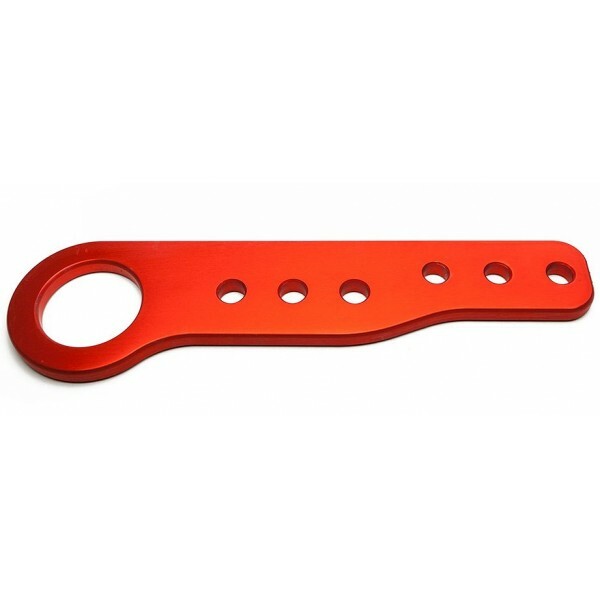 This lightweight rear tow hook is direct replacement of the stock heavy and probably rusty one and gives a nice, subtle change to the rear of your NA. Adjustable in 3 steps it will work with rear lip spoiler. CNC fabricated from strong 2017 dural alloy (stronger than 6061) it is designed to tow with 50mm tow eye. Available as black or red anodized duraluminum. 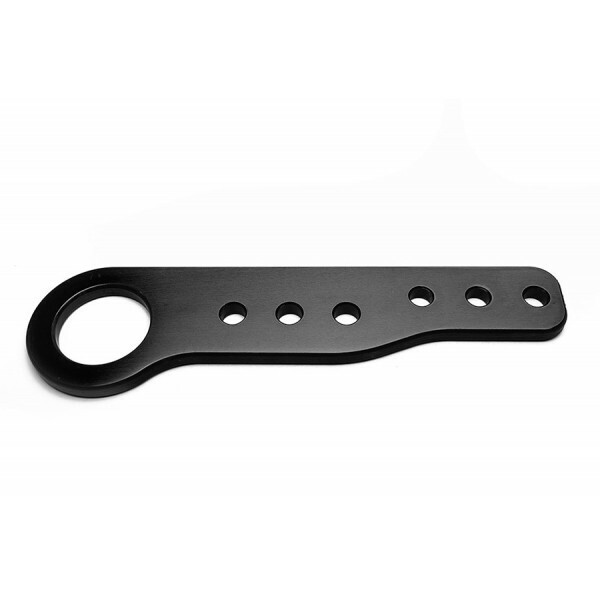 Rear fitting kit of grade 10.9 bolts & stainless steel washers for securing the tow hook to the body can be ordered separately. Even though stress calculated and tested, the tow hooks are sold for the looks only.